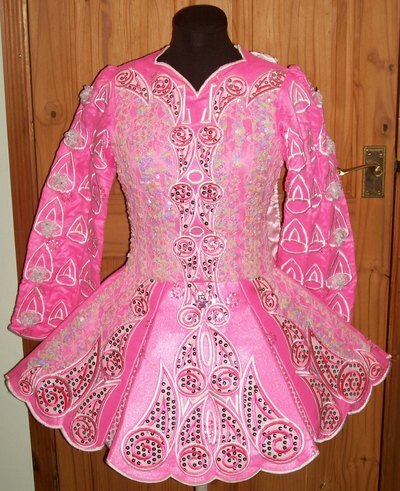 Worn by a championship dancer at All Irelands, Great Britians, British Nationals & Regional Qualifiers. 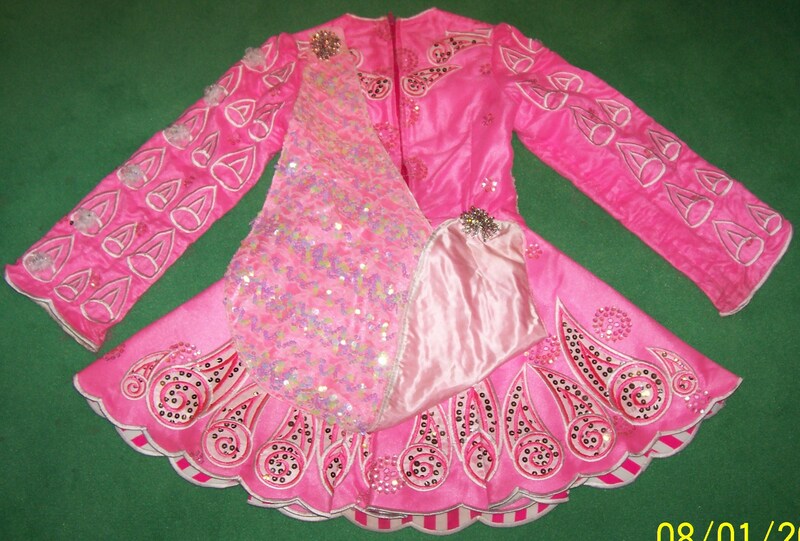 Would suit a dancer 12 upwards as dancer very petit for age. 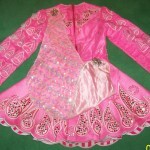 Dress is Bubblegum pink with a sequin netting overlay covering bodice to side panels, with white applique sequin fabric, sequin pleats and candy-pink stripped fabric for the underneath. Sleeves have a single line of white roses, good condition. Dress comes with matching knickers and small tutu. Asking Price: Â£300. Shipping costs not included. Sale is final.